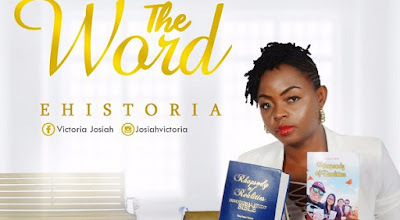 Ehistoria is a UAE-Nigerian recording artist who is anointed to share the gospel through music, demonstrating the character of the spirit and the outpouring of God’s liquid love. Ehistoria releases her debut single titled “The Word“. Produced by Ephraim Amare, the soul-lifting and declarative tune serves as the first hint of what to expect from the budding gospel songstress‘ upcoming project, and is accompanied by a lyric video. Ehistoria is a singer-songwriter and member of the BLW Nation based in the United Arab Emirates. She is a passionate soul winner and member of the Believers loveworld Inc. (aka Christ Embassy) in Abudhabi where she serves as a Praise/worship leader.